I was off on my travels early this morning. I had a 6.45 am flight to catch to Birmingham. I remarked to my husband it was bright when I went to bed and when I got up. Did it actually ever get dark last night. I was obviously suffering from lack of sleep because when I went to board the plane I had a panicked moment. The ground staff asked for my boarding card and passport. I smiled handed it over said good morning and then to my horror realised the picture we were both looking at was my son. Eh no not if that’s the one I gave you cos mine is obviously the other one I threw in my locker last night!! I didn’t actually say that I just stood their gobsmacked at my stupidity. Luckily for me and the large que forming behind me she was happy to take my drivers licence as proof of who I am. I hope this doesn’t change with Brexit which I noticed has altered the customs channels already entering the U.K. The familiar quick route for EU arrivals has been closed off and everyone must now go through the green channel. Unless you have something dodgy like 10lbs of Irish sausages for the relatives in your bag. Probably best not mentioned. It made me sad it’s really happening the end of an era. Expect to see lots of changes like this ahead things we have taken for granted for so long now. I had a few hours to wait for Tom coming from Brussels so I grabbed some breakfast and some new books I will probably never get time to read. I’m a sucker for buy one get one half price book deal. 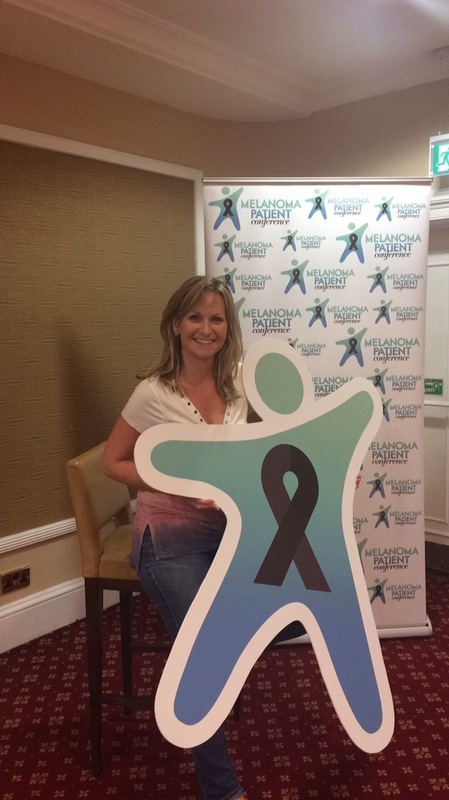 Tom arrived and we located Imogen our friend who is organising melanoma patient conference U.K. In a large orange van she couldn’t fit in multi-storey car park and had to circle very unsuspecting looking around airport drop off about twelve times. We are lucky the S.W.A.T team hadn’t removed her. We then had a noodle crisis to solve. 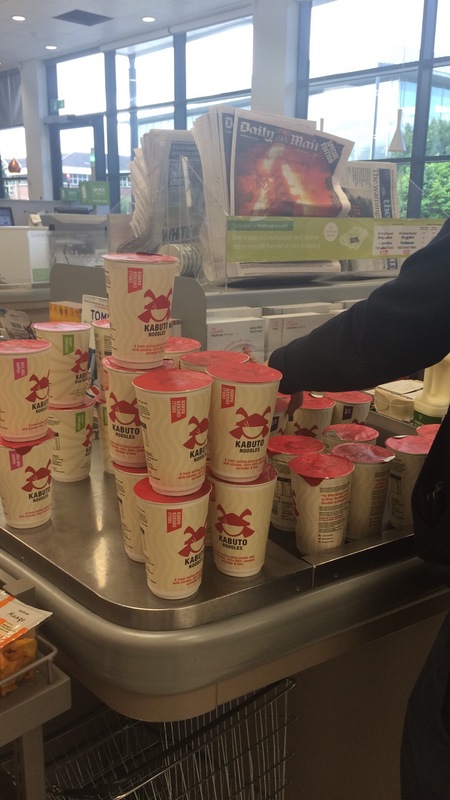 She was short about forty pots of high end noodles for the conference goodie bags. We ended up clearing Waitrose out of them much to the amusement of others in the checkout line. We were a bit giddy and silly from lack of sleep at this point and I’m sure the shop assistant though quite mad. With a trolley load of noodles off we went. 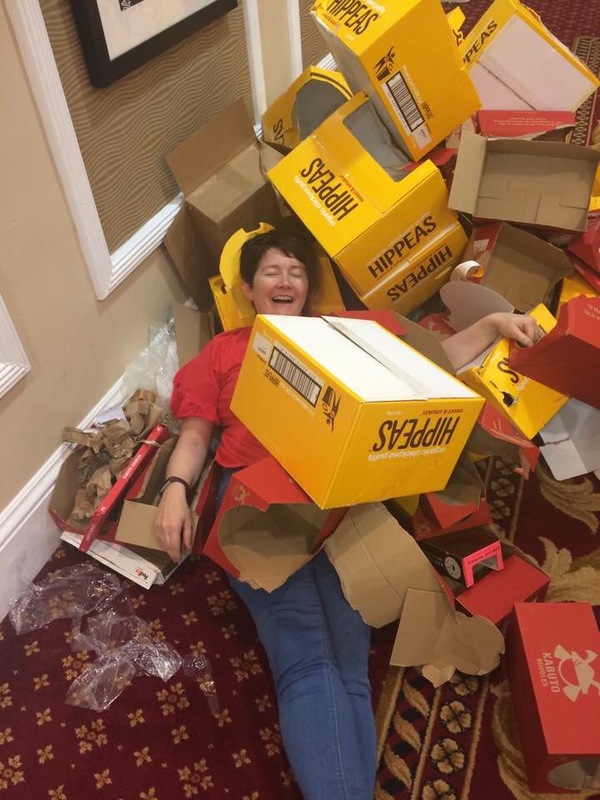 It’s good to have some fun when we are dealing with such a serious topic as this weekends conference. 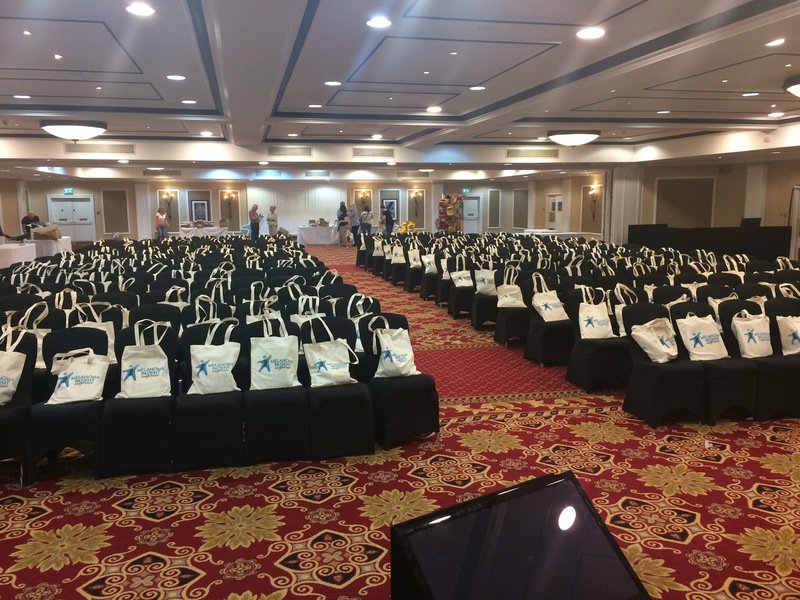 Many hours later, my Fitbit step allowance for the day was achieved circling one table filling goodie bags. We could relax as people began to arrive for the conference. It’s going to be a fantastic event and I’m in awe of Imogen’s drive and skill in putting all this together whilst holding down a full time job and raising two children. The commitment and detail like going out of her way to make sure everyone has a pot of noodles might seem to some as if she’s lost her noodles. But I know it’s because she cares deeply. She wants to make a difference. She ensures everyone is treated equally and looked after well but also that we can leave after this weekend much wiser about managing this disease. Mrs Cheese 🧀 I salute you. Next Next post: Staying Alive AH HAH HAH AH!